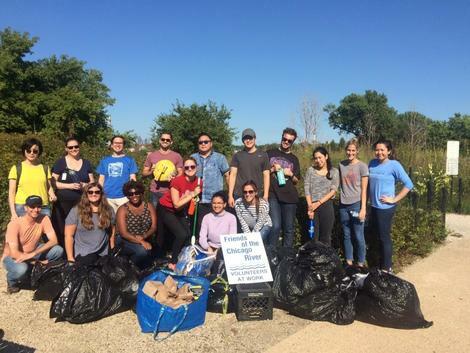 When you volunteer with Friends of the Chicago River, you join the ranks of the Chicago River Eco-Warriors (CREW). We rely on year-round volunteers to support our mission to improve and protect the Chicago River. Click here to become part of the CREW and receive monthly updates about events and volunteer opportunities. Friends, there are many ways to get involved, but we’re open to your ideas too! Follow us on Facebook, Twitter and Instagram. It really helps when you like and share our posts! Plan your own Litter Free volunteer day, check out the Toolkit that shows you how! Share information about Friends at events. We've made a Volunteer Information packet just for you. Questions? Email Annette Anderson or call her at (312) 939-0490, ext. 14. Friends is excited to partner with REI to support our Chicago River Eco-Warriors. REI shares our commitment to care for our natural areas and to get people outside to experience their wonders.